After I served on the Reagan-Bush National Security Council staff in the 1980s, my former colleagues cooked up an approach of reaching out to the Islamic Republic of Iran. As we know from the transfer of U.S. arms to Iran in exchange for Americans held hostage by Iranian proxies in Lebanon, extending a hand to Iran failed. Capitulation was the outcome of that scheme, as more hostages were seized following receipt of American arms by Iran. Harking back to the era when President Richard Nixon and Secretary of State Henry Kissinger reached out to China to balance the Soviet Union, my former associates envisioned that extending a hand to Tehran would create an American-Iranian condominium that would bring security and peace to the Middle East. But in the aftermath of the 1979 Iranian Revolution, the Islamic Republic had not made a decision to be a normal nation rather than a revolutionary cause. Two decades after this failure, political-realist President Barack Obama uses nuclear talks between the major powers and Iran to test whether it is ready to come in from the cold. With an adroit use of mostly congressionally-imposed financial and trade sanctions, Obama hoped it would be possible to turn Iran away from its revolutionary zeal and into a nation engaged economically with the West that fits within the U.S. security framework for the Middle East. 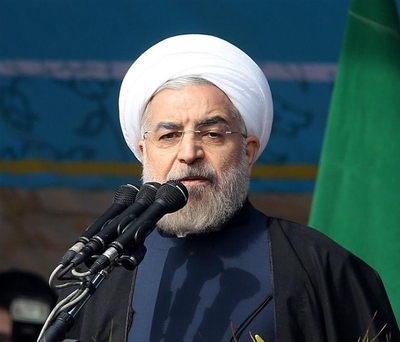 If Rouhani were a realist, he might calculate as Obama would and conclude that preserving the Revolution is not as worthwhile as a prosperous economy.